The detached leaf chlorophyll fluorescence responses of Ligustrum japonicum and Spiraea japonica which were pretreated with 5-aminolevulinic acid (ALA) solution at a dosage of 50 mg∙L−1 for 25 d and treated at 50˚C temperature for 30~90 min, were measured by a multifunctional plant efficiency analyzer (M-PEA). The results show that the leaves which were pretreated by ALA maintained higher levels of the maximal photochemical efficiency (Fv/Fm), but less inhibition of oxygen evolving complex activity at the donor side of PSII reaction centers (Vk) and the maximal close rate at the acceptor side of PSII reaction center (Mo). ALA treatment significantly increased the quantum yield in photosynthetic electron transfer (φEo), the active reaction center density (RC/CS), the efficiency to reduce the terminal electron acceptors of PSI reaction center (φRo), and therefore the capacity index based on the absorption (PIabs). Conversely, high temperature stress impaired the reduction rate of PSI reaction center by the electrons transferred from PSII reaction center (VPSII-PSI) more than the oxidation rate of PSI reaction center by the terminal electron acceptors (VPSI). This means that the electron transfer of intersystem was more sensitive to short-term rapid heat stress than PSI itself. 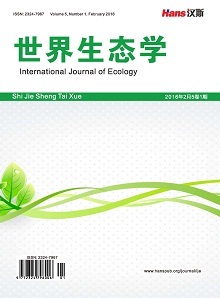 The results in the study show that the leaves of S. japonica were more heat tolerance than those of L. japonicum, and the improving effects by ALA were effective at the early stage of heat stress on L. japonicum while at the later stage on S. japonica. Therefore, this new regulator may be applied in garden plant production to protect heat stress in high temperature summer. 蒋昌华, 胡永红, 秦俊, 王玉勤, 张明丽. 高温胁迫对月季品种部分生理指标的影响研究[J]. 种子, 2008, 27(6): 31-34, 38. Hotta, Y., Tanaka, T., Takaoka, H., Takeuchi, Y. and Konnai, M. (1997) New Physiological Effects of 5-Aminolevulinic Acid in Plants: The Increase of Photosynthesis, Chlorophyll Content, and Plant Growth. Bioscience, Biotechnology, and Biochemistry, 61, 2025-2028. Watanabe, K., Tanaka, T., Hotta, Y., Kuramochi, H. and Takeuchi, Y. (2000) Improving Salt Tolerance of Cotton Seedlings with 5-Aminolevulinic Acid. Plant Growth Regulation, 32, 99-103. 汪良驹, 姜卫兵, 章镇, 松井弘之, 小原均. 5-氨基乙酰丙酸的生物合成和生理活性及其在农业中的潜在应用[J]. 植物生理学通讯, 2003, 39(3): 185-192. 康琅, 程云, 汪良驹. 5-氨基乙酰丙酸对秋冬季大棚西瓜叶片光合作用及抗氧化酶活性的影响[J]. 西北植物学报, 2006, 26(11): 2297-2301. 陈慧, 徐丽, 李旭, 王冬云, 安玉艳, 汪良驹. 5-氨基乙酰丙酸提高杜鹃和香樟叶片耐寒性效应[J]. 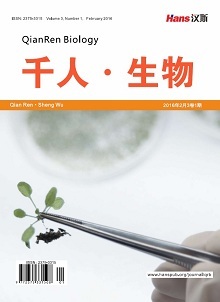 植物生理学报, 2017, 53(12): 2103-2113. 汪良驹, 姜卫兵, 黄保健. 5-氨基乙酰丙酸对弱光下甜瓜幼苗光合作用和抗冷性的促进作用[J]. 园艺学报, 2004, 31(3): 321-326. 孙永平, 魏震宇, 张治平, 汪良驹. ALA对遮荫条件下西瓜幼苗强光抑制的保护效应[J]. 西北植物学报, 2008, 28(7): 1384-1390. 程菊娥, 肖启明, 成飞雪, 刘勇. 5-氨基乙酰丙酸对温室烟草的光合作用及抗逆性的促进效应[J]. 湖南农业科学, 2007(4): 58-60. An, Y., Qi, L. and Wang, L.J. 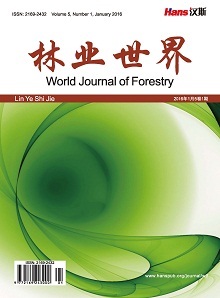 (2016) ALA Pretreatment Improves Waterlogging Tolerance of Fig Plants. PLoS ONE, 11, e0147202. Wei, Z.Y., Zhang, Z.P., Lee, R.M., Sun, Y.P. and Wang, L.J. 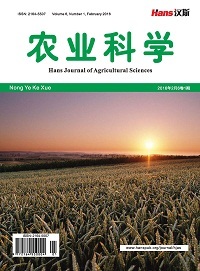 (2012) Effect of 5-Aminolevulinic Acid on Leaf Senescence and Nitrogen Metabolism of Pakchoi under Different Nitrate Levels. Journal of Plant Nutrition, 35, 49-63. Ali, B., Xu, X., Gill, R.A., Yang, S., Ali, S., Tahir, M. And Zhou, W.J. (2014) Promotive Role of 5-Aminolevulinic Acid on Mineral Nutrients and Antioxidative Defense System under Lead Toxicity in Brassica Napus. Industrial Crops and Products, 52, 617-626. 孙永平. 5-氨基乙酰丙酸(ALA)提高逆境条件下西瓜幼苗叶片光合与光抑制保护机理研究[D]: [博士学位论文]. 南京: 南京农业大学, 2009. Zhang, J., Li, D.M., Gao, Y., Yu, B., Xia, C.X. and Bai, J.G. (2012) Pretreatment with 5-Aminolevulinic Acid Mitigates Heat Stress of Cucumber Leaves. Biologia Plantarum, 56, 780-784. 马娜, 齐琳, 高晶晶, 巢克昌, 胡巧芳, 蒋红国, 汪良驹. 5-ALA对高温下无花果扦插幼苗的生长及叶片叶绿素荧光特性的影响[J]. 南京农业大学学报, 2015, 38(4): 546-553. 孙永平, 张治平, 徐呈祥, 申春苗, 高充, 汪良驹. 5-氨基乙酰丙酸处理对低温下西瓜叶片快速叶绿素荧光诱导曲线的影响[J]. 园艺学报, 2009, 36(5): 671-678. 郁永英, 马立华, 李广武, 古淑芬. 金山绣线菊引种及繁殖技术[J]. 东北林业大学学报, 2006, 34(1): 45-47. 张志法, 唐道城, 杨春江, 周洪. 金叶莸与金山绣线菊的生理抗寒性评价[J]. 北方园艺, 2010(5): 97-100. 孙越信, 孙向云, 许东海, 王翔. 浅析金森女贞和金叶女贞的区别及在园林绿化中的应用[J]. 上海农业科技, 2009(3): 106. 李晟, 方明, 廖建. 持续高温天气下衡阳市园林植物损伤调查分析与对策[J]. 安徽农业科学, 2014, 42(19): 6237-6238, 6240. 郭延平, 张良诚, 洪双松, 沈允钢. 温州蜜柑叶片气体交换和叶绿素荧光对低温的响应[J]. 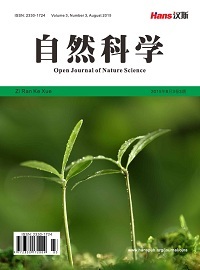 植物生理学报, 2000, 26(2): 88-94. 吴韩英, 寿森炎, 朱祝军, 杨信廷. 高温胁迫对甜椒光合作用和叶绿素荧光的影响[J]. 园艺学报, 2001, 28(6): 517-521. 温晓刚, 林世青, 匡廷云. 高温胁迫对光系统II的影响[J]. 生物物理学报, 1996, 12(4): 714-718. Akram, N.A. and Ashraf, M. (2013) Regulation in Plant Stress Tolerance by a Potential Plant Growth Regulator, 5-Aminolevulinic Acid. Journal of Plant Growth Regulation, 32, 663-679. Nishihara, E., Kondo, K., Parvez, M.M., Takahashi, K., Watanabe, K. and Tanaka, K. (2003) Role of 5-Aminolevulinic Acid (ALA) on Active Oxygen-Scavenging System in NaCl-Treated Spinach (Spinacia oleracea). Journal of Plant Physiology, 160, 1085-1091. 刘卫琴, 康琅, 汪良驹. ALA对草莓光合作用的影响及其与抗氧化酶的关系[J]. 西北植物学报, 2006, 26(1): 57-62. 刘晖, 康琅, 汪良驹. ALA对盐胁迫下西瓜种子萌发的促进效应[J]. 果树学报, 2006, 23(6): 854-859. 谢荔, 成学慧, 冯新新, 杨涛, 张治平, 汪良驹. 氨基酸肥料对“夏黑”葡萄叶片光合特性与果实品质的影响[J]. 南京农业大学学报, 2013, 36(2): 31-37. Asada, K. (2006) Production and Scavenging of Reactive Oxygen Species in Chloroplasts and Their Functions. Plant Physiology, 141, 391-396.